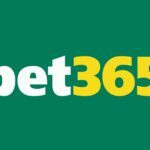 BetBright have been sold to 888 group and no longer offer their services. We recommend using the bet365 app instead. BetBright are a bookie with a very bright future. 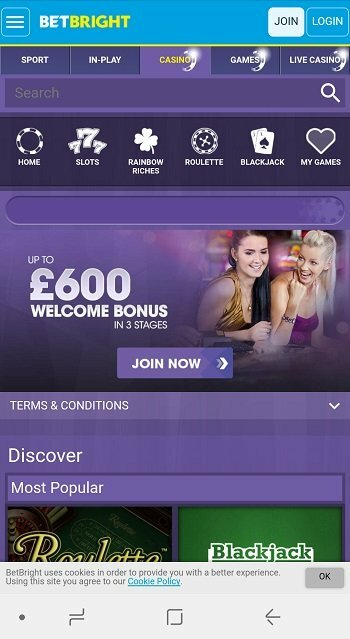 As one of the newest online bookmakers on the market, they have to work hard to attract new customers and they do this by offering a great mobile app for Android, packed with some amazing features and to top it off, a really good welcome offer. 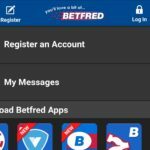 The Android app from BetBright is one of the best looking, easiest to use betting apps featured in the app store and if you are on the look out for a new bookie app, then BetBright should certainly be considered. Based over in Dublin, BetBright are making waves in the betting world for many good reasons. If you want a no hassle, no nonsense bookmaker, then check out this app. Downloading the Android app from BetBright is simple to do and is one of the better betting apps out. 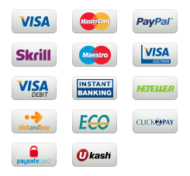 It is really easy to use, certainly looks the part and has some really good customer offers and most importantly good odds. There is no point in having a real top draw app if the odds on offer are hopeless. Luckily that is not the case with BetBright. Launch the BetBright app and you will be met with an abundance of options at your fingertips. A well laid out front page opens up a world of betting opportunities. 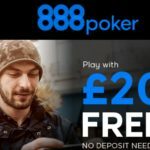 This app not only supports a fully fledged sports book, you can also play in the casino, on games and also on the BetBright live casino. Now, the sportsbook is one of the most complete on the market. There are loads of sports available to wager on, including football, racing, tennis, greyhounds and also virtual sports. A full A-Z is available and here you will find a huge list of every sport imaginable. It’s easy to switch from fractional to decimal odds on the app thanks to the quick switch option in the main menu which is located on the left of the app. In this menu you can also find in play options and a tab for tall the latest offers from BetBright. Like any good betting app, BetBright’s app for Android supports a Best Odds Guarantee on all UK & Ireland racing and a now essential cash out option. This has now become a valuable tool for any punter looking to maximise their reruns from their bets. Just place your bet on the app, log in and you can see your list of cash out applicable bets in your account. A handy notification underneath the markets shows you if your bet is eligible or not. The app supports in play visualisations and we found these to update very quickly. Acca Club (what used to be called Acca+1) is BetBright’s standout feature and a really good offer for football fans. Place a football Acca of five legs or more and at combined odds of 7/1 or greater, you can then add a risk free leg from a host of options. If the risk free leg comes in along with the original Acca then the bonus is paid as cash. If the original Acca wins but the risk free leg doesn’t, you still get paid out as normal.It is currently the only Acca offer in the industry that applies to all markets and all leagues as well as both pre-play and in-play bets. Acca club is live every day, across all the football markets. The longest winning odds to date was a 385/1 on a fourteen fold accumulator! Try is out and see for yourself, it’s quality! Still not to be out done, BetBright mobile app also has a BetFinder tool which is a very useful betting feature for horse racing. It lets you find the best Horse Racing bets quicker and easier than ever before. It is in our eyes an essential tool for any Horse Racing fan. Built in to the top menu on the app, it is packed with stats, data, and a powerful search algorithm to help you narrow your bets down. It really will change the way you pick your Horse Racing bets forever. Use the filters to narrow down the field of all UK & Irish horses to just a few, by using the filters you control the number of results. BetFinder allows you harness the power of the most complete horse racing data with just a few simple clicks. This fantastic app feature makes it a lot easier to narrow down your potential bets. That isn’t the only tool available to racing punters. 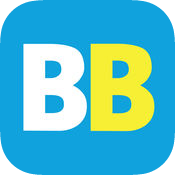 The BetBright betting app also features live streaming of all UK and Irish race meetings – both Horse racing and greyhounds. You can watch any race feature with the bookie from within the app. Just make sure you have bet of at least £1 on the race. Lastly, you can use the free stats and form guides from Racing Post and Timeform that come with the app. These tools should really help you with picking a winner at the horse racing. We really love the look and feel of the BetBright Android app. The colour scheme is really on point and it is one of the simpler apps out there to use. It really does look the part and is up there with some of the other best betting apps. The app gets regular updates and each one improves reliability and speed. They have tinkered too much with the look on the app which is good as we like the easy to use design. Golf coverage is one area that BetBright have updated and it is now easier to pick your tournament and place bets on the players. 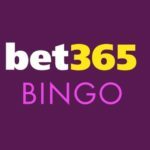 This BetBright mobile application also support an in built casino which is jam packed full of games. In here you will find scratch cards, video poker, slots, card games, roulette and many more. The app does support a play money mode so you can try all the games for free and have a practice. 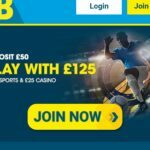 You do need a BetBright account and to be logged in before playing and you can join at www.betbright.com The live casino is exceptionally good and well worth checking out if table games are your thing. Here you can play live Roulette, blackjack, baccarat and casino hold em. If you like hot dealers, have a peek! See the website at www.betbright.com for full list of new customer offers and promotions.